Earlier this week I discussed an indigenous red grape, lagrein, from the northern part of the region, Alto Adige. Today I'm sharing with you a wine from the southern part of the region known as Trentino, centered around the city of Trento. This region is well known for producing sparkling wines under the Trento DOC designation in the classic method, but today I'm sharing a pinot grigio, Bollini, produced by the Empson brand of wines. 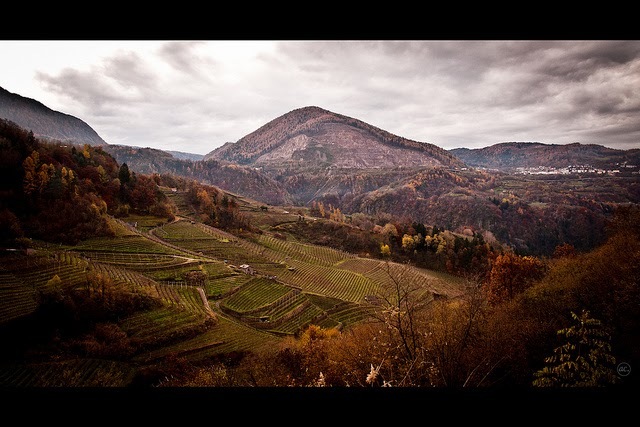 The Trentino wine region is very similar to it's northern sibling, Alto Adige, but the Trentino's landscape is slightly lower in elevation and not so quite dominated by the mountains as the Alto Adige. Both have very similar climates and the extreme temperatures in climate changes from day to night is what helps develop the strong aromatics and crispness of the wines here. Although, shockingly enough, with this region being so far north and enveloped in a mountainous area, Trento gets very warm and can break over 100 degrees fahrenheit in the height of the summer. The Bollini wines were created by the Empson family in 1979. The particular wines produced under the Bollini label are their own wines with grapes sourced from their wineries in both the Friuli and Trentino regions of northeastern Italy. The Bollini wines since 2010 had well-known Italian enologist, Franco Bernabei, join forces with Neil Empson in winemaking. The overall largest DOC from Trentino is the Trentino DOC that is further separated into notable subzones. The pinot grigio I'm sharing today is from this Trentino DOC zone. 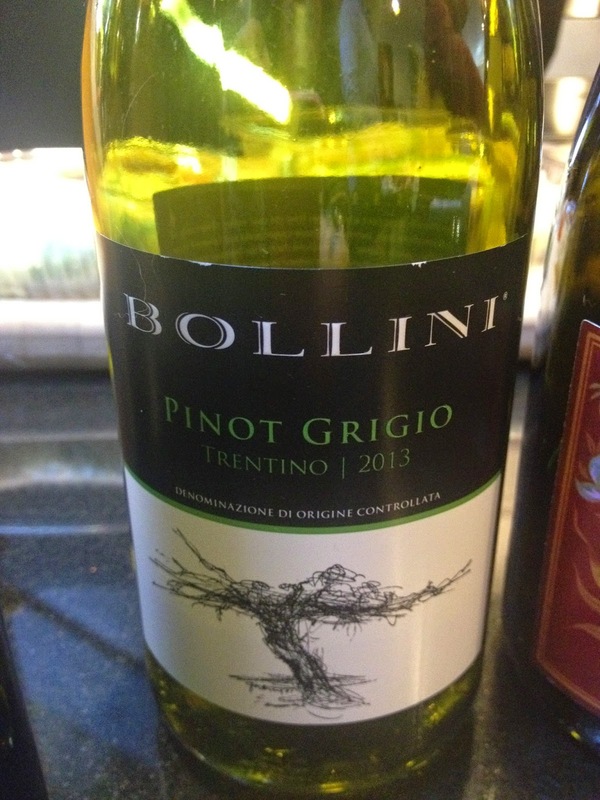 The 2013 Bollini Pinot Grigio Trentino DOC was straw yellow in color. On the nose the wine was fresh with elements of white flowers, white peaches and a little citrus. On the palate it was light in body and was dry, crisp with good acidity a little saltiness. The bottle average retails for about $13. I hope everyone had a wonderful Thanksgiving in the US and all others enjoyed the wonderful food and wine suggestions shared out there.